Find hotel near Anciencouvent De La Baume .. The curious little Franciscan monastery of Angers was founded in the 15th Century by King René, a Count of Anjou. 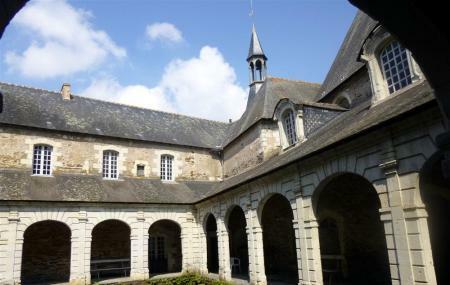 The former convent is an unusual walk through history showcasing some rare medieval paintings. The beautiful garden adds onto the charm of this old place. For big groups (10 people or more) make prior appointment. The place is undergoing regular renovations. Check attraction website for details to avoid disappointment. A contribution € 5 is requested as a fee towards the maintenance of the place. May – October: Third Sunday of each month. Open only once a month. Check attraction website for event timings. How popular is Anciencouvent De La Baumette? People normally club together Chateau D' Angers and Musee Des Beaux-arts while planning their visit to Anciencouvent De La Baumette. Un endroit discret. Make sure that you come here during the right time. It only opens the 3rd Sunday each month from May to October for individuals. Très beau couvent mais... privé donc bien fermé. Trop peu de visites possibles. De tels joyaux devraient être plus accessibles au grand public. Histoire, patrimoine, architecture, paysage, jardin des simples, programmation culturelle Une famille accueillante et passionnée.